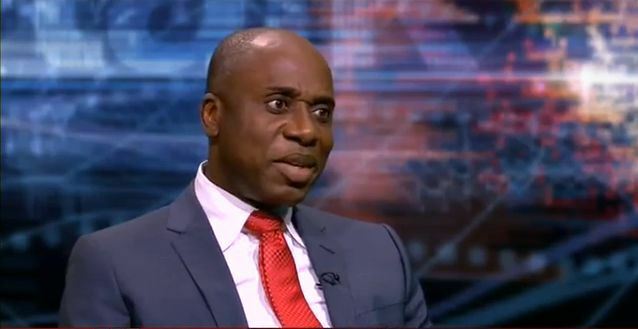 Rivers State Chapter of the All Progressives Congress, APC, has described Rotimi Amaechi, Minister of Transportation and former Governor of the state as the Niger Delta’s version of foremost nationalists, Obafemi Awolowo, Nnamdi Azikiwe, Tafawa Balewa and Ahmadu Bello. The state arm of the party made the remark while reacting to the unprecedented and monumental gathering of traditional rulers, political leaders, sons and daughters of Ikwerre extraction in Rivers State at Isiokpo, the traditional Headquarters of the Ikwerre Ethnic Nationality to honour Amaechi. The statement obtained by DAILY POST noted that the event was organised by the Ikwerre Youth Movement (IYM), the foremost socio-cultural organisation in Ikwerre land to “solemnize the Chieftaincy title earlier conferred on Chief Amaechi by the Ikwerre Traditional Rulers as “EZE OCHI ALIRI 1 of IKWERRE Land”, which means the person who stands tall to take on and ward off any challenge in a family or Community. “Briefly, he is the “Redeemer of His people” (Ikwerre) or ‘The wise Defender of the Ikwerre kingdom’. Muhammadu Buhari for the honour done to their son and Leader of Rivers State politics”, he said. The state arm of the party further described Amaechi as a “breaker of records stating that the Holy Bible as reflected in the gospel of Mark 6:4,” said, “A prophet is honoured everywhere except in his own hometown and among his relatives and his own family” (New Living Translation) but Amaechi with the event of today have dusted this truism with the millions of Ikwerre sons and daughters his brethren agreeing as one people to honour him for his sterling and outstanding inputs towards the emancipation of the Ikwerre people and for becoming a great Iroko and one of the pillars through which the politics of Nigeria currently rotates. The party explained that, “today, Chief Amaechi is not only changing the face of Transportation in Nigeria as the Minister of Transportation but stands out as one of the key and influential member of President Buhari’ s political Team. “Refers in some quarters as the Lion of Niger Delta Politics, this great son of Rivers State has being reappointed to lead APC to victory come 2019 as the Director General of the Presidential Campaign Council. No son of Rivers State has achieved such feats to warrant his ethnic tribe to have so honoured him in this manner.